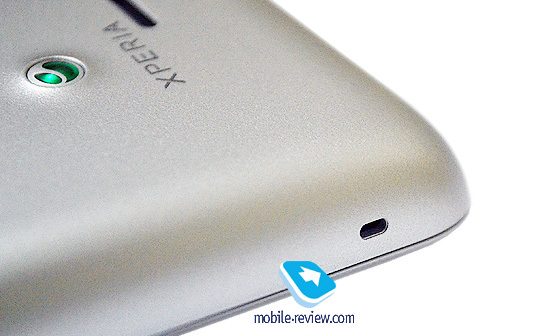 A few weeks ago we took a first look at a new low end phone from Sony, the ST21i Tipo, that is going to start a new year in the company's roadmap for low end devices. Not long before the official announcement of the phone, which took place in a rather anorthodox way, I came across the second incarnation of the same device, that can theoretically work with two SIM cards at well... almost the same time. The ST21i2, the Tipo Dual is in every other aspect the exact same device as the St21i so in this article I only want to discuss the way the 2 SIM concept is materialized by Sony. 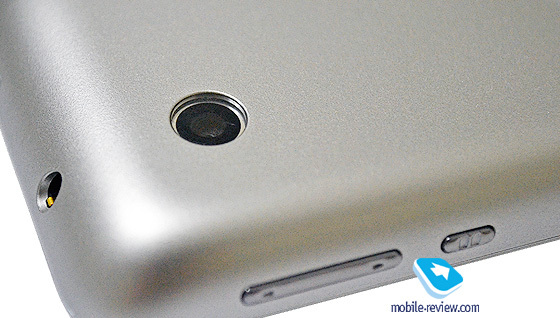 The only visible difference between the two phones is the addition of an extra button on the right side, under the volume keys, responsible for the handling of the 2 SIM operation . There is no other way to tell them apart. 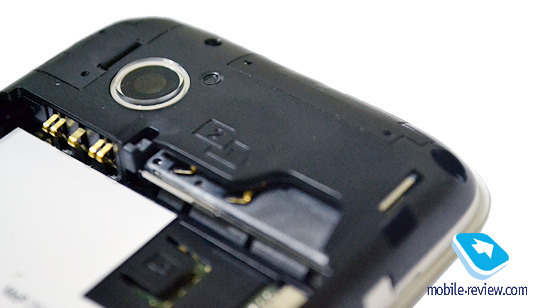 Traditionally, one of the technological barriers in making the 2 SIM phones mainstream is the requirement to use some components inside a phone in doubles, to be able to realize full network capabilities of two different SIM cards. This is a limiting factor both in cost and size, as it is in power consumption. There is also a serious operational problem in the way that the user interface of the device will handle the ability to make calls from two different numbers and the situation only gets worse when you put messaging, internet access and some more functions into the equation. Sony approached this situation in their own way and the ST21i2 tries to solve these problems in the easiest and most cost effective way with minimal design changes to the interface and phone's hardware. 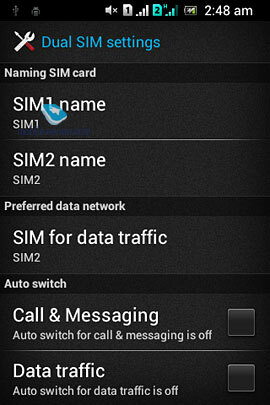 The 2 SiM cards can be registered to the network at the same time , and both are able to receive calls but only one of them at a time . 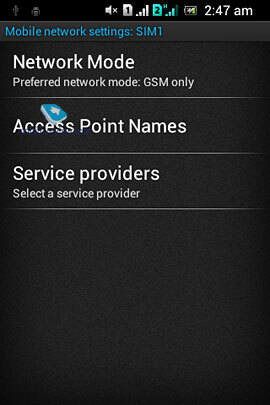 When a call is active on one number , the other one can not access the network and if you try to call the second number you will not be able to reach it . This can be quite frustrating in everyday use , since someone that needs 2 different numbers and uses a device that can fit them both , would really like to be able to receive a call in both of them at any given situation . As far as SMS messaging goes , this problem is not present since messages only occupy the network for a few seconds and can be deliverd with a deay . So even if somehow two messages one in each card try to get to the phone at the same time , one will come first and the second one will be received when the phone terminates the connection with the first SIM card . 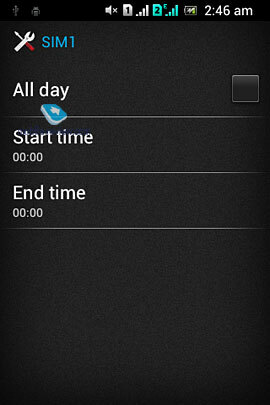 Since calls can only be made from one card at a time, the user must have a way to choose which of the two cards he wants to use. This is where the added button is used. 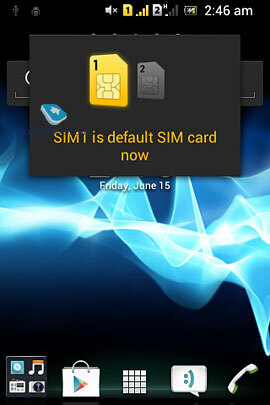 By pressing it once, a pop up window appears and changes at the same time the active sim card for outgoing calls. The corresponding indication of the signal reception is highlighted to be able to tell which card is active at any time from the stand-by screen. 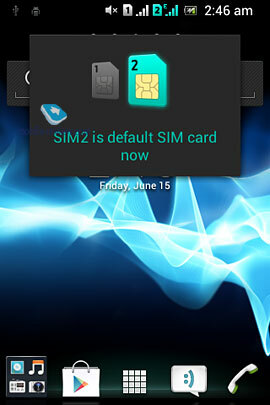 There is also a home screen widget available that both informs about the active SIM card and can change it. 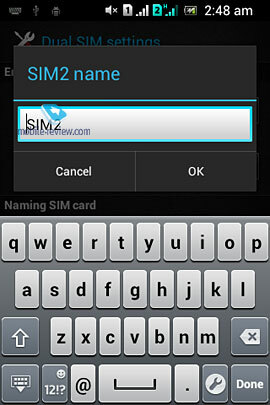 Surely enough, the SIM card selected for outgoing calls is the one used for SMS and MMS sending. 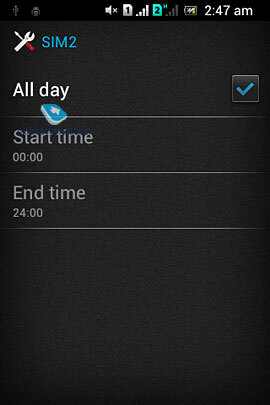 One nice addition from Sony is the ability to set the phone to automatically change the active SIM for outgoing calls in predifined times during the day , the weekends or both. 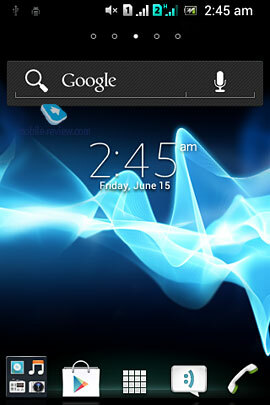 However, there are two serious drawbacks in Sony's implementation. The first one and the most crucial one, is the fact that even though the ST21i2 is a UMTS/GSM device, each number can operate only on one of the two technologies and the other one will have to use the another. This is extremely annoying and impossible to understand at the same time. 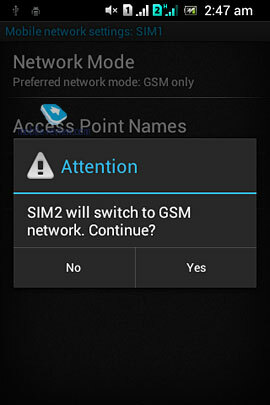 Since there is no way for both cards to operate at a GSM network at the same time, there is no possible way to use both cards in an area with no UMTS coverage. 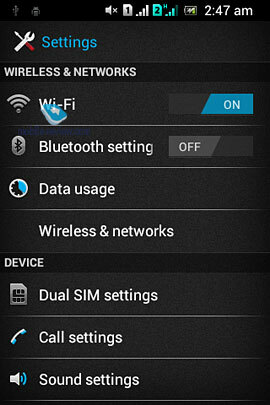 I sesiously can not understand how is it possible for a device like this to come to the market as a dual SIM device, when there is a good chance that the user will at some point find himself in an area with no UMTS coverage and will be able to receive and make calls from one number only. Imagine the following scenario: a user of the phone finds himself in an area where he knows the UMTS coverage is problematic. He will have to constantly check his phone and make sure it has coverage in case he is expecting a call to the SIM card set to use the UMTS network or will have to switch that card to use the GSM network and leave the other one with the possibility of not being able to receive a call. This kind of limitation is not present in much cheaper phones providing 2 SIM capability, mostly because they don't work on UMTS networks and just use two seperate receivers for the operation of the two SIM cards. 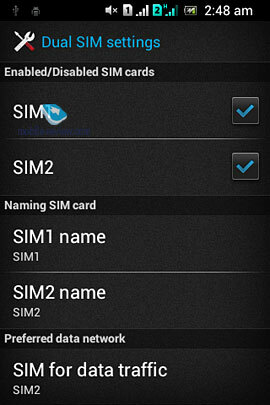 The second drawback that can be considered small when compared to the first one is that the phone can have data access to only one of the SIM cards at any given time. 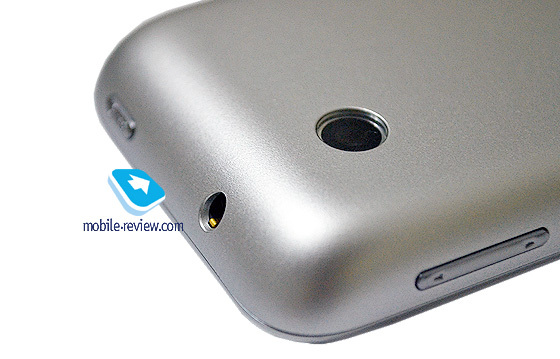 Granted, this holds true for most dual SIM devices on the market as it requires less components to be present in the phone. 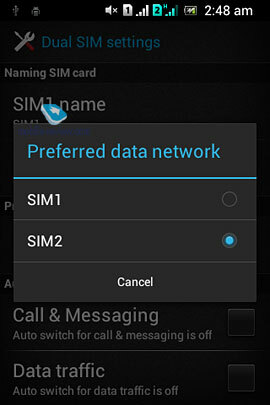 Sony has once again provided us with an option to select the card to use for data connection and the only limitation is that the other card cannot receive MMS messages since they require a data connection in order to be received. I described at the start that the dual SIM operation requires the use of components at pairs in order to accomodate the needs of two different cards at the same time. Let me explain this a little further and see how Sony was just plain cheap in the way they created this phone in order to cut back on costs and just present one more device of dubious functionality. The network communication components like a signal RF multiplexer must be seperate for each card in order for both of them to access the network at the same time. This holds true for all the components that manage and provide the physical connection to the network. The circuitry needed to handle the proccessing tasks of the network protocols etc can be the same for both cards since in most cases their communication with the network is not required at the same time. To be able to provide access both in GSM and UMTS networks, the circuitry must be doubled once again and this brings the number of components to a point where is not feasible to put them inside most devices and manage their power consumption and complexity. 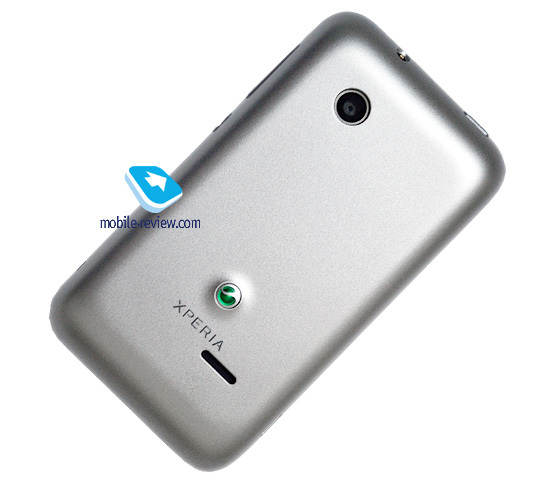 This is the way most manufacturers create their dual SIM phones since it provides the best possible combination of functionality and cost effectiveness and only for GSM networks in most cases. 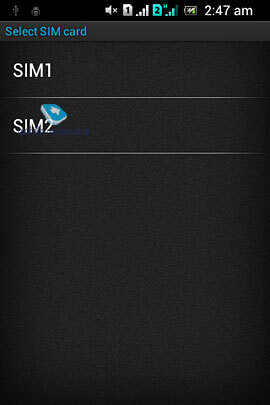 Sony on the other hand decided to use the exact same hardware with the single SIM ST21i and just use the phone's access to both networks to provide a dual SIM solution. 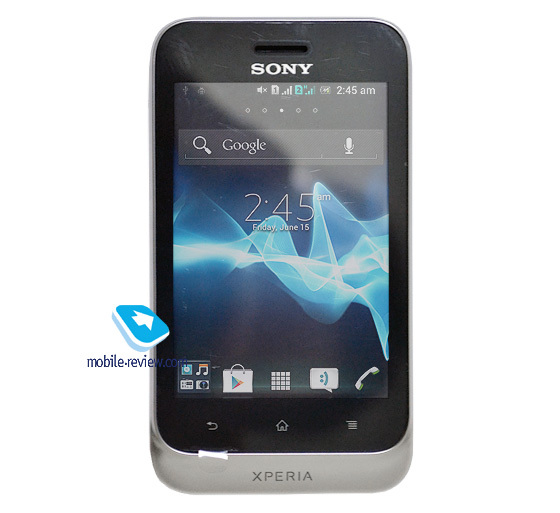 This way with the hardware required for a normal phone, Sony was able to find an intermediate solution and give the phone a false Dual SIM designation. Operation and stand-by times are, of course, reduced compared to the ST21i since the phone is constantly connected to both networks and provides voltage to both SIM cards. 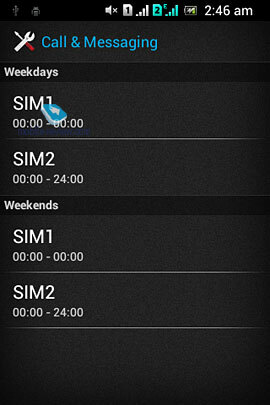 Since both cards are not active during a call, the call times remain almost the same if compared with the single SIM version. Since both phones are in no way designed for heave multimedia or internet usage the overall operation time of the ST21i2 will probably remain the same with the ST21i . Even Sony Ericsson, at it's lowest point in sales and overall situation, would not try and make the potentional buyers believe this is an actual dual SIM phone. Actually since the phone was in developement when Sony bought Ericsson's shares it is both companies fault that such a device will come to the market. I personally can not believe that Sony, once considered a technology pioneer and maker of quality products, is nowdays willing to put it's name on devices like the ST21i2 or the ST21i for that matter. Even ZTE, a company that nowdays just bares the name and fame of a chinese company, while being far more reliable than Sony, provides dual SIM solutions of extremely better performance and practicality. Somehow I am certain that the dual SIM version of the phone will be priced higher than the single one, although their manufacturing cost difference reside in the extra button and the additional SIM holder. just because it can work with two cards at well, almost the same time. Phones like this show the overall company's policy which lacks any kind of planning or even understanding of the market needs and direction. 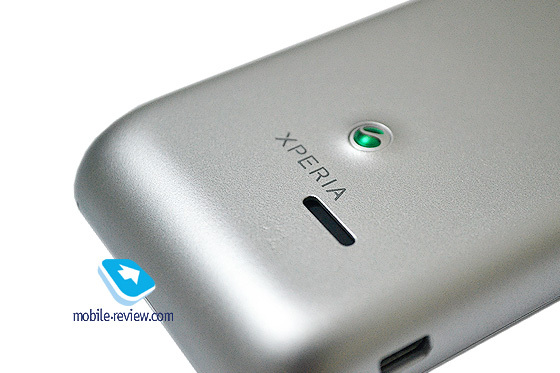 Both versions of the phone are poorly made, using cheap materials and outdated hardware solutions that just exist to fill a market gap in the line up without any consideration to the possible negative effects in Sony's image. I guess that the demise of Sony Ericsson was not big enough, so Sony decided to buy the company and use it as an extra hand in the demise of it's own.